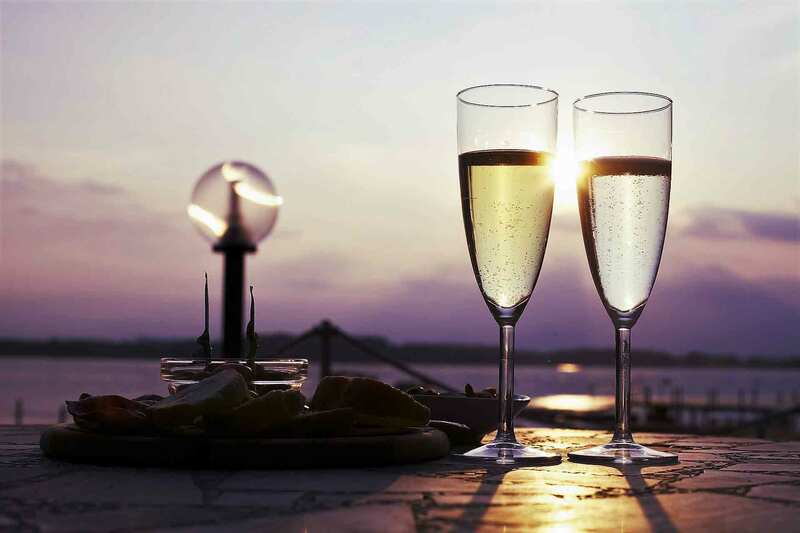 Apéritif comes from the Latin word aperire, meaning “to open.” These alcoholic beverages have a low alcohol content, usually 16 to 25 percent, and are meant to whet the appetite before a meal. A simple glass of dry white wine or Champagne can serve as an apéritif, but traditionally these spirits are a secret blend of herbs and spices. GAYOT’s list of Best Apéritifs includes liquors perfect for sipping on their own, over ice, or mixed with cocktails. For an after dinner drink that aids digestion, take a look at the Guide To Digestifs. Price: $24.99 for 750 ml. 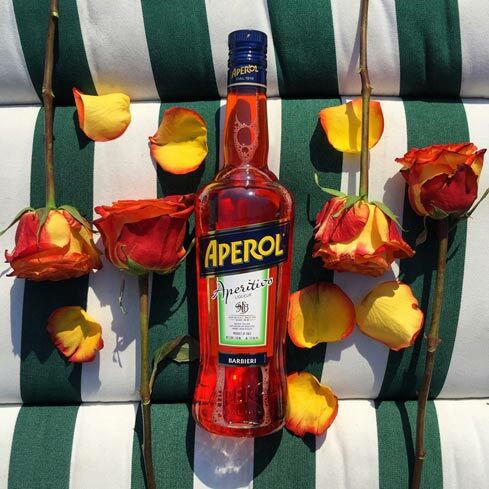 Aperol became a popular Italian aperitivo after World War I. 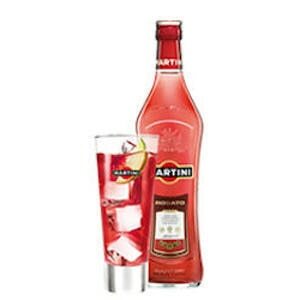 It has gained international recognition since the advertising efforts of Gruppo Campari, which acquired the brand in 2000. It displays a bright orange color and has a unique flavor profile including bitter and sweet orange, rhubarb and many other herbs and roots. This Italian sweet vermouth was first invented in 1786 by Antonio Benedetto Carpano. The original recipe remains thanks to Fratelli Branca Distillerie. The palate features flavors of vanilla, star anise, orange, date and hints of baking spices. This is Carpano’s most fragrant vermouth. It features citrus and fruit notes blended with hints of almond and cocoa. It has a velvety mouthfeel with mineral notes for a persistent finish. It is best served chilled. Carpano Dry Vermouth is drier in taste and lower in sugar than other Carpano Vermouths. It is enriched with the Dittany of Crete — an herbaceous plant from the island of Crete that gives this apéritif the powerful flavor that bartenders love. Price: $29.99 for 350 ml. Génépi refers to the namesake botanical artemisia. Dolin’s Coeur de Génépi is a pale gold color and has a powerful botanical bouquet that leads to a palate of artemisia, softened by floral notes of violet. It is best served chilled, and can even be served over ice cream for a sweet treat. Price: $88 for 700 ml. This French pastis is the perfect balance of 65 plants and spices. The numerous plants and spices include star anise and wormwood. Henri Bardouin Pastis displays a clear color with shimmering green highlights, and a powerfully complex and spicy palate. Price: $10 for 750 ml. The founders of Martini & Rossi Wine Company set to work in 1863 creating a recipe for vermouth, using high-quality wines and aromatic herbs. Today, the Italian-based company is one of the most widely-recognized makers of vermouth and still bases its drinks on the original recipe. Martini comes in four varieties: the Bianco, Rosato, Rosso and Extra Dry. The pink-hued Rosato is a blend of red and white Italian wines from the Piedmontese vineyards. Dominated by fresh, fruity aromatics and just a hint of cinnamon spice, this spirit offers light flavors of citrus fruits and raspberry. The best way to enjoy: drink on the rocks with a squeeze of citrus for a classic Italian aperitivo or add to a cocktail with pomegranate juice, topped with lime and mint. Pour ingredients over ice and top with a squeeze of lime and a sprig of mint. Price: $37.99 for 700 ml. This pastis was first created in 1928. It is a refreshing anise-based apéritif with complementary coriander and mint flavors. This spirit is traditionally served diluted, and in many cocktails. Price: $21.99 for 750 ml. In 1870, regulars at the Carpano wine shop, who were employed as stock brokers, were talking about the stock prices being raised one and a half points. One of the stock brokers then asked for his usual vermouth, with half a point of bitters added to it, using the regional expression “Punt e Mes.” Since then, this sweet and bitter beverage has been a well-known apéritif. Price: $29.99 for 750 ml. Ricard Pastis is one of the world’s best-selling anise-based spirtis. It was first created in Marseille in the 1930s by Paul Ricard. It is best served cold, diluted or with cordials or fruit juices. This French apéritif has been produced since 1885. This Massif Central gentiane liqueur one of the oldest of its kind. It is rich and bittersweet, with notes of citrus and anise.